I am pleased to announce that Dr. William Beach has been confirmed by the Senate and sworn in as the fifteenth Commissioner of Labor Statistics. A highlight of my time as Acting Commissioner was being able to share this blog with you, our customers. This forum allowed me to provide updates on program improvements and concrete examples of how BLS data can help everyone make smart decisions. I hope you check back here often to hear more updates from Commissioner Beach. I learned that this blog is a great vehicle for communicating to you in an informal, but hopefully informative, way. I want to thank the BLS staff who helped keep the blog fresh — without them, it would not have been nearly as interesting! Finally, I want to use my last post as Acting Commissioner to sincerely and publicly thank all BLS staff. They work tirelessly day in and day out to ensure we provide gold-standard data to the American people. They also share their technical expertise in terms that even I can understand! I know that all of you join me in extending a warm welcome to Dr. Beach. World War II had a significant impact on the U.S. Bureau of Labor Statistics. In 1942, the Office of Price Administration asked BLS to help them understand what was going on with prices and price controls. Price controls? Remember, this was during World War II and there was significant government intervention in markets. Shortly after that, the National War Labor Board asked BLS to conduct surveys and evaluate wage rate increases. These two projects showed the need for local information, not just national averages. Why am I writing about events from World War II? Well, the growing need for local data led BLS to create our regional offices, and we recently celebrated their 75th anniversary. I want to tell you a little about these offices and their rich history. Today, BLS staff throughout the country collect price and wage data and more. As you can imagine, the uses of these data and the methods for collecting them have changed significantly. Our regional offices collect survey data, work closely with our state partners, and help people find and understand the information they need. Survey data collection has changed significantly from the 1940s. Today our regional staff throughout the country work with survey respondents to make it as easy as possible to provide accurate information. Modern technology makes it easier to respond to our surveys, but even more important is the close relationships our regional staff have with survey respondents. That high-touch, high-tech approach has proven successful and helped us achieve high response rates. BLS has a long history of working with states. We wrote about this unique and important partnership back in 2016. Our regional staff work closely with their state colleagues to provide data that are timely, accurate, and relevant to the local economy. We are proud of our partnership with the states. Finally, each regional office has a small staff of economists dedicated to providing information to the public. These Economic Analysis and Information staff write news releases and other reports that focus on local data. The staff support our data collection efforts through outreach to local business communities and associations. The staff also provide information to people and businesses who use data to make important decisions. What started as a way to provide analysis on government price controls and wage increases has evolved and blossomed into an integral part of BLS. The pioneering staff from our past and the dedicated staff of today allow us to produce gold standard economic statistics. Congratulations to the BLS regional offices staff on 75 years of excellent service to the nation! Our very own Director of the Mathematical Statistics Research Center, Dr. Wendy Martinez, recently received the American Statistical Association’s Founders Award at the 2017 Joint Statistical Meetings in Baltimore. This award honors those select few ASA members with “longstanding and distinguished service to the association and its membership.” To be eligible for the award, candidates must have served the organization over an extended period in a variety of volunteer leadership roles. The Founders Award is the only ASA award that is kept secret and announced only at the awards ceremony. Wendy said she was caught “completely by surprise” when her name was called at the awards ceremony. Previously, Wendy earned her status as an ASA Fellow for “making outstanding contributions to statistical science” in 2006. Incidentally, two BLS alumni, Nick Horton and John Eltinge, also received the 2017 Founders Award that evening. Wendy Martinez receives Founders Award from American Statistical Association President Barry Nussbaum. Wendy’s distinguished service to the ASA includes many years serving as a Section Chair, Committee Chair, and Program Chair. Wendy is especially proud of her role as the Program Chair to plan the Joint Statistical Meetings held in Washington, DC, in 2009. She also was a keynote speaker at the “Women in Statistics and Data Science” conference last year. In addition, Wendy founded the “Statistics Surveys” journal and serves as Coordinating Editor. The Journal publishes survey articles in theoretical, computational, and applied statistics. Congratulations on an outstanding professional achievement, Wendy! One of the things I love about leading BLS is working with so many dedicated and talented professionals, who care deeply about the quality of the statistics we publish. One of our colleagues recently was recognized for his good work. 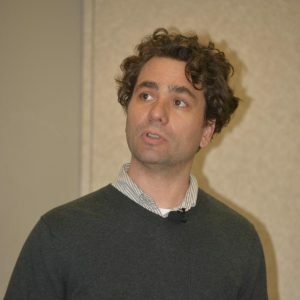 All of us at BLS congratulate Daniell Toth, a research mathematical statistician in the Office of Survey Methods Research, who was selected as a Fellow of the American Statistical Association. Only one-third of one percent of the ASA’s membership receives this prestigious distinction. Daniell has been honored for outstanding contributions to survey methods. Among these contributions are better methods for designing survey samples and assessing and reducing the bias that can result from survey nonresponse. The honor also recognizes Daniell’s research on methods to protect the confidentiality of survey respondents. 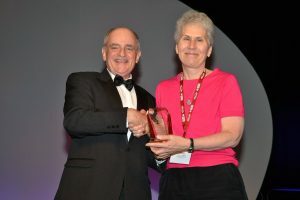 In addition to Daniell’s important research, the ASA recognized his long service to support junior statisticians and researchers, the broader statistical community, and the ASA itself. Congratulations, Daniell! There are so many things I love about being Commissioner of Labor Statistics. The part of the job I enjoy the most is working every day with so many talented, dedicated, hard-working people. I am especially pleased when BLS staff members receive recognition for their good work. We recently celebrated one of those occasions. Thesia Garner of the Office of Prices and Living Conditions and Kathleen Short of the U.S. Census Bureau received the 2016 Roger Herriot Award for Innovation in Federal Statistics at the 2016 Joint Statistical Meetings. 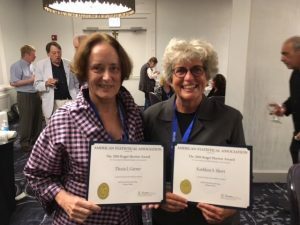 The award recognizes the important and extensive research Thesia and Kathleen have done together over more than 20 years to develop better measures of poverty in the United States. Their most recent work focused on producing the Supplemental Poverty Measure. This measure provides insight about the effects of public policies and programs on reducing poverty. Herriot Award winners are chosen by a committee of the American Statistical Association and the Washington Statistical Society. Please join me in congratulating Thesia and Kathleen for this recognition and for their research into improving the ways we measure economic hardship.